When my friend and I went to Chiang Mai, we expected to stay there for some time, knowing its reputation as a haven for expats and digital nomads. For some reason, however, he felt restless there, and despite its attractions to freelancers (e.g., good food, cheap hostels, fast internet), he soon felt the need to move. 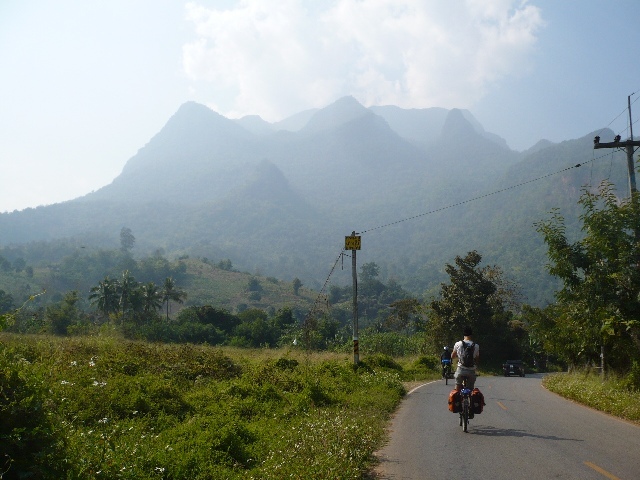 Less than two hours from Chiang Mai, Chiang Dao is best known for Doi Chiang Dao, the third highest mountain in the country. Travelers come here primarily to relax and enjoy the town’s natural beauty, especially its famous caves. While it’s not exactly bustling with activity, Chiang Dao has many attractions to keep visitors busy. 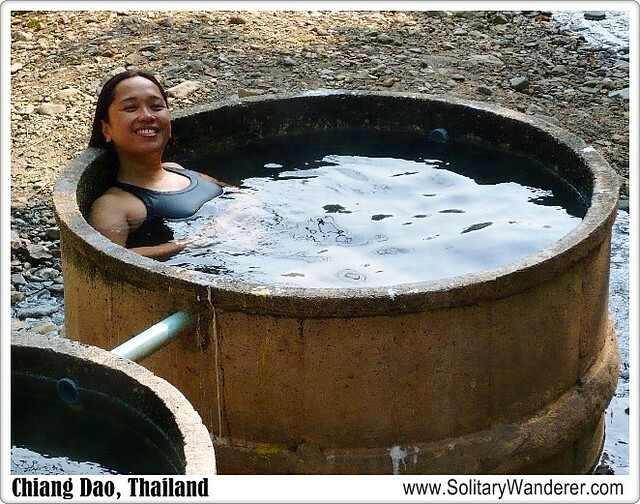 There’s the caves, of course, but there are also other things you can do: biking along the almost-empty winding roads, trekking, visiting the hill tribes, or soaking in the hot springs, which we did on our second day in the town. 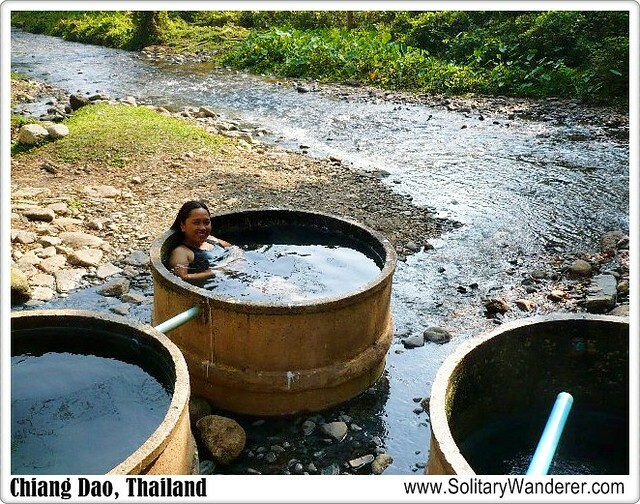 You can go to the hot springs of Chiang Dao by biking. While the path is going up, it’s not so steep, and if you don’t get lost, you’ll get there in less than 30 minutes. It took us longer because we asked people for directions. They probably didn’t understand what we were asking and sent us off to other directions. The best way is to find out from someone in your hostel how to get there and once you’re going towards the right direction, just bike straight up. Don’t turn left or right, and you’ll eventually end up at a resort at the end of the road. The hot springs are off to your left once you get there. I was surprised to see the hot springs. 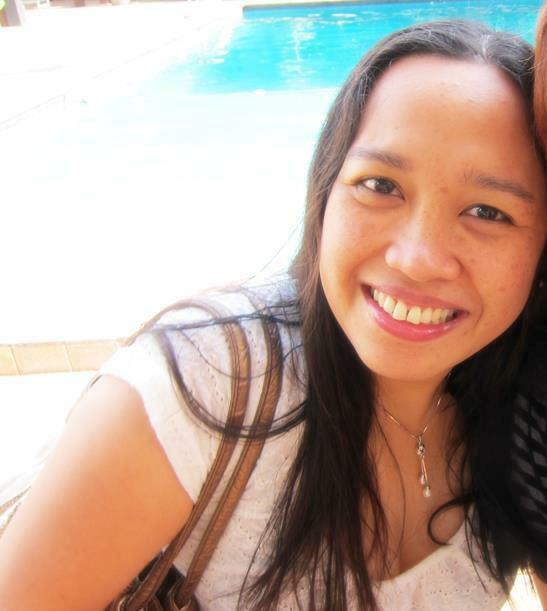 In the Philippines, it always meant swimming pools with warm water. It turned out to be several concrete basins connected by a pipe. Each basin is good for one person, and I think it has different temperatures. I went from one basin to another, testing the temperature. A lot of them were too warm for me, but I found one that was exactly right. There’s also the (very cold) river nearby where you’re supposed to get dunked after getting out of the hot springs. If you don’t like the public hot springs (no place to change, for example), you can go to the adjacent Japanese place where they charge 100 baht for two hours. There are six buses that travel daily from Chiang Mai to Thaton. Take that and get off at Chiang Dao. It takes 90 minutes and costs 40 baht. 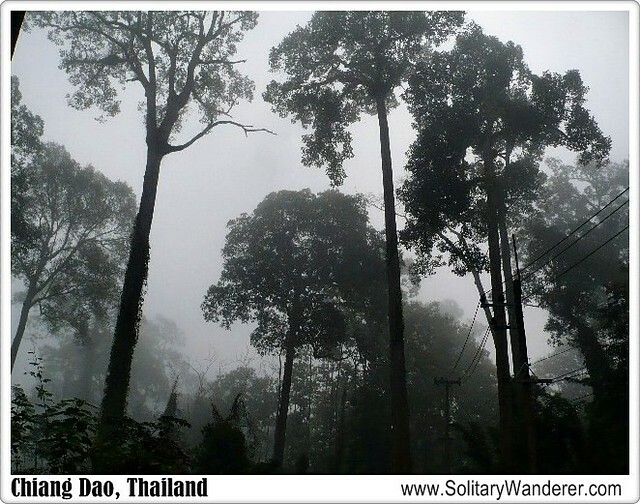 Have you been to Chiang Dao? What do you like most about it? @ Christine: I agree it’s cute. haha Not for everybody though, since obviously the water’s not moving so much. Still, it was a lovely experience for us. LMAO, this is so cute. I’ve not experienced that type of steam bath before. I’ve tried a Laotian sauna and many Korean ones, but that takes the cuteness prize. Ooh, another reason to get back to Thailand. It’s high on the list for later this year, and Chiang Mai will be an easy sell if we do manage it, so this is a perfect addition to the itinerary! @ Jay: The bus to Chiang Mai from Bangkok is around 450 baht and takes around 7 hours. It’s comfortable enough. 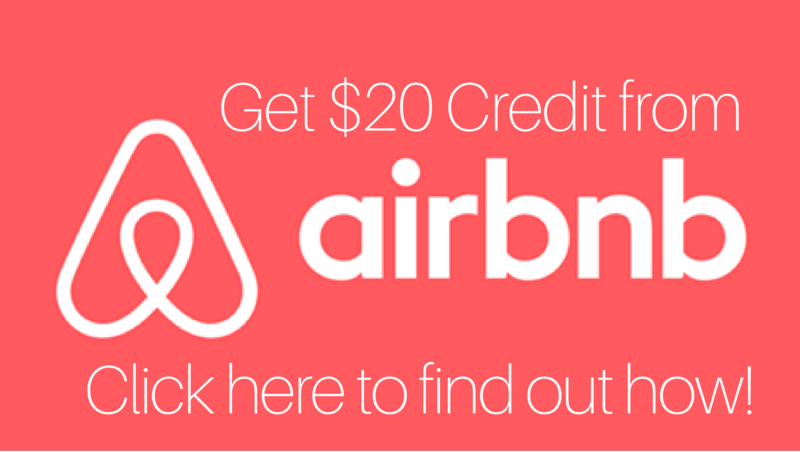 If you fly there, I think it costs around 2,000 baht one way. Wow, a different take on Thailand! How much and how long by bus is the trip from Bangkok to Chiang Mai, by the way? @ Photo Cache: Agree. I love finding out and writing about places like this, too. 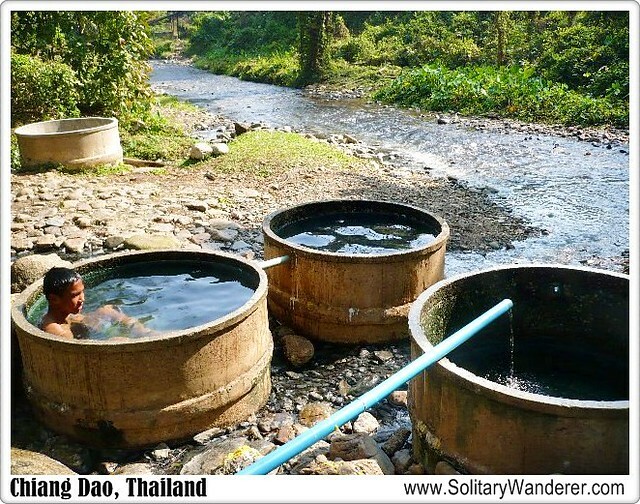 the hot springs is definitely unique to thailand i guess. it’s really nice to try out other places that most people don’t know about. 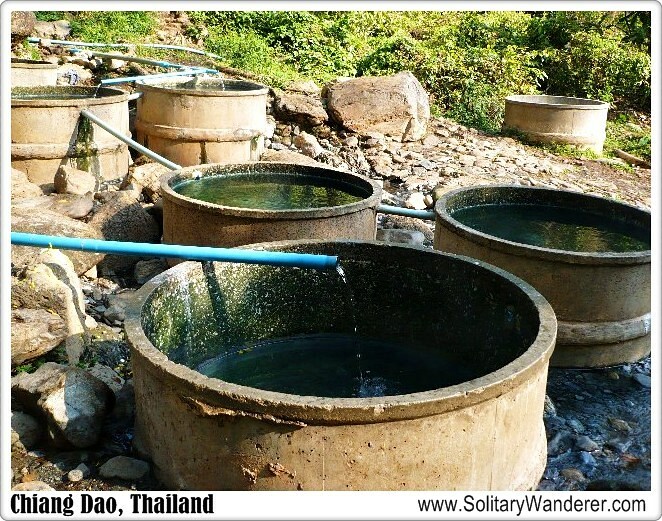 I’ve never heard of Chiang Dao before but these off-the-beaten-path places are always great. Those hot springs are certainly a far cry from the ones I was thinking of. Your jumping from one basin to another reminded me of Goldilocks (not the Filipino bakery) – you know finding the right one. Looks like fun! I think I’m too much of a germaphobe to enjoy this unless they empty it out after each person. Yes, I’m weird like that 🙂 Love those first two scenic shots. @ Gelo: It was really really freezing. But they say it’s good for you to jump from the hot springs and into the cold river. @ Mike: You know, I really never thought of that haha The water is sort of flowing though. Water flows in from one pipe and goes out in another. Love those hot springs and those wooden baths. They are absolutely fantastic. I know what you mean about being in public like that, how do you change though?